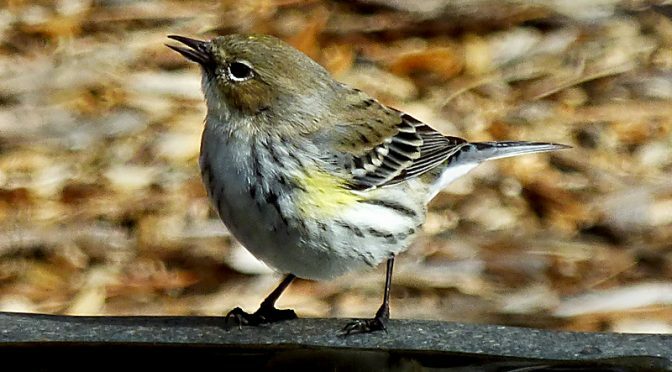 Yellow-Rumped Warbler At Our Bird Bath On Cape Cod. 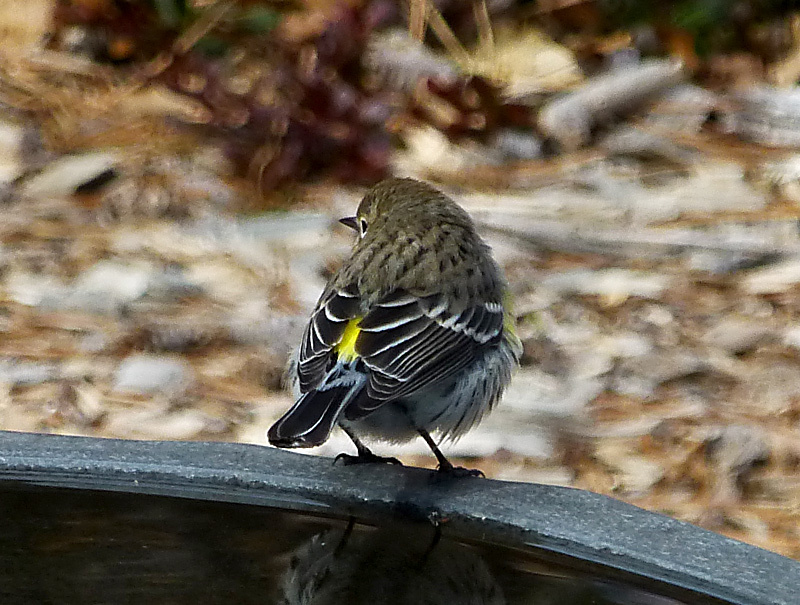 This little Yellow-Rumped Warbler loves to come get a drink and an occasional bath at our bird bath. He is such a pretty bird. You can see the yellow on his rump in the 2nd photograph. When he flies, the yellow is very prominent! Previous PostThe Rock Jetty In Wellfleet On Cape Cod.Next PostSo Many Benches To View The Gorgeous Views On Cape Cod! What a cutie little yellow birdie! You have a great eye! Thank you! It’s so much fun!